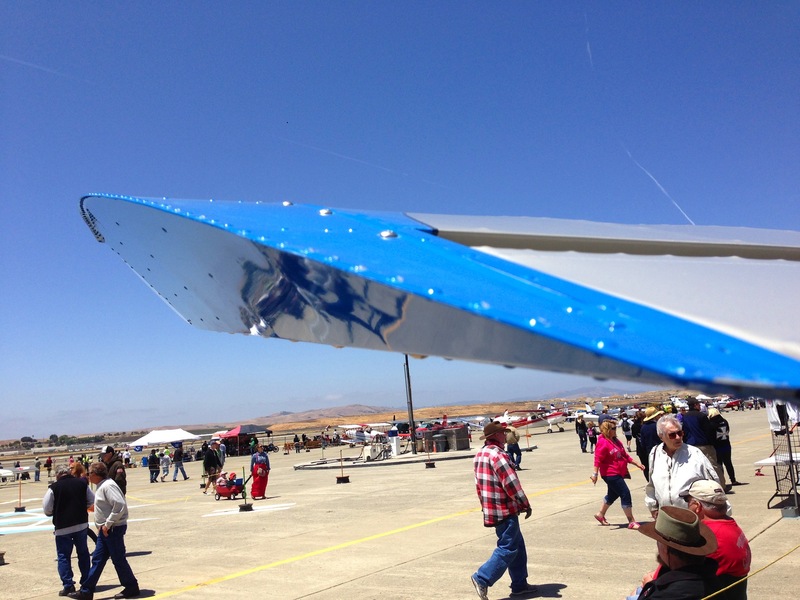 After reading about the difficulties in forming the wingtips for the UltraCruiser, I stumbled onto the much simpler wingtip design used in the Zodiac CH 601 HD designed by Chris Heintz. 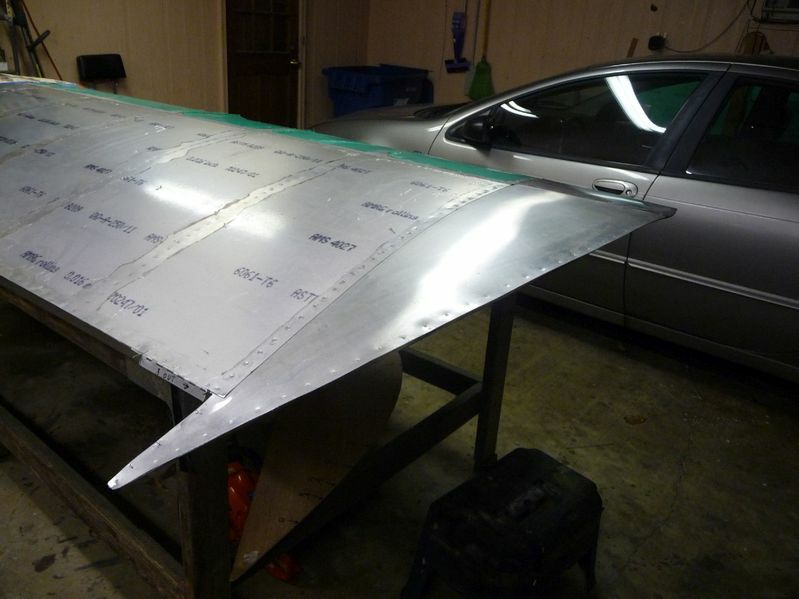 This method of building a wingtip could easily be used on the UltraCruiser. Two builders on the UltraCruiser forum have reported on using this design and submitted images to our forum: Alan Zeisbrich and Albert Delahlussaye (delhoose) ... I've appropriated their images without permission. 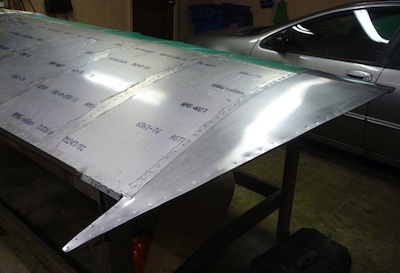 By the way, I thought about using flat plates which extend above and below the wing by 1.5 inches and 2.5 inches. This thought was based on feedback from a Legal Eagle builder. 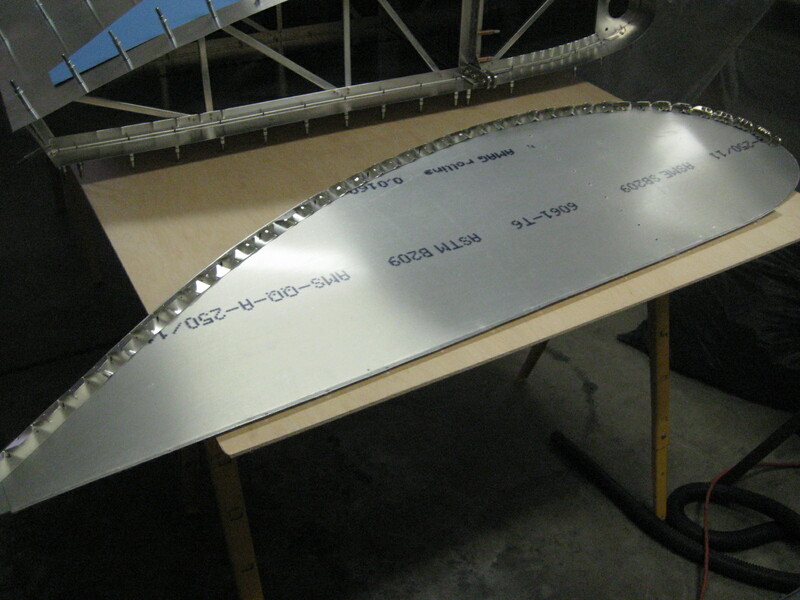 I think wing tip plates are ugly; but, they are easy to build, reduce weight. According to the Legal Eagle builder, they improve handling. 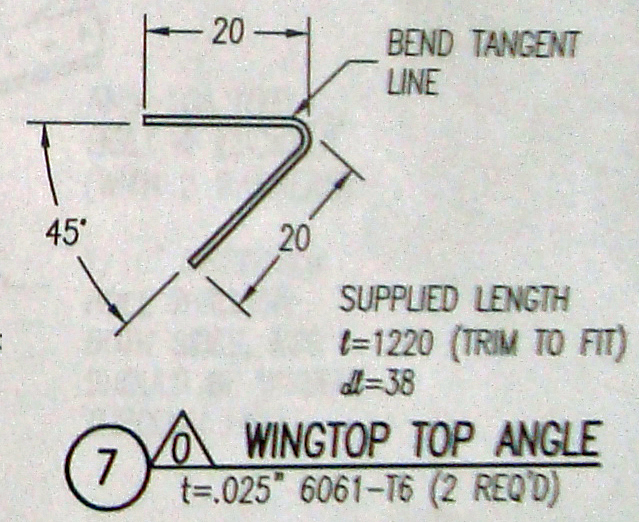 Another option which looks better is the Mooney flat wing end ... but the Mooney has a tapered wing. I might try this first since at our speed, drag is not a problem but loss of lift may be a problem with the lower horsepower VW engines. The Hummel Bird uses square or flat wing tips. 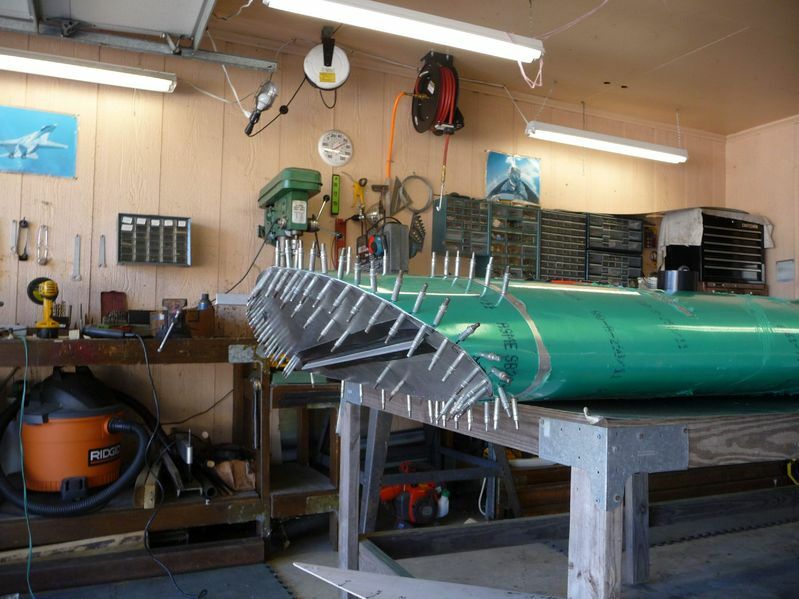 Note: Terry Hallett reports that with a reduced wing span, the gross weight can exceed 500 pounds. Call the factory for details. I apologize for the images below. 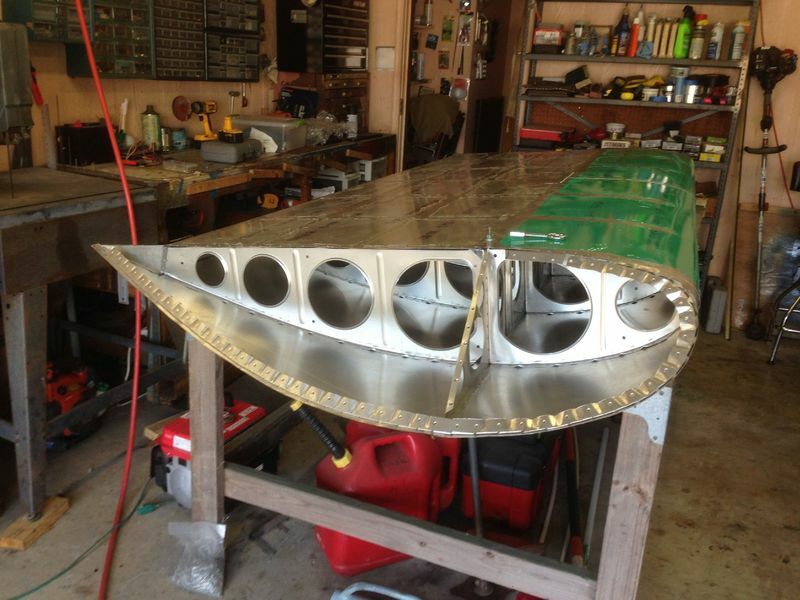 The wings were stored in a garage with the wingtips in a dark corner. 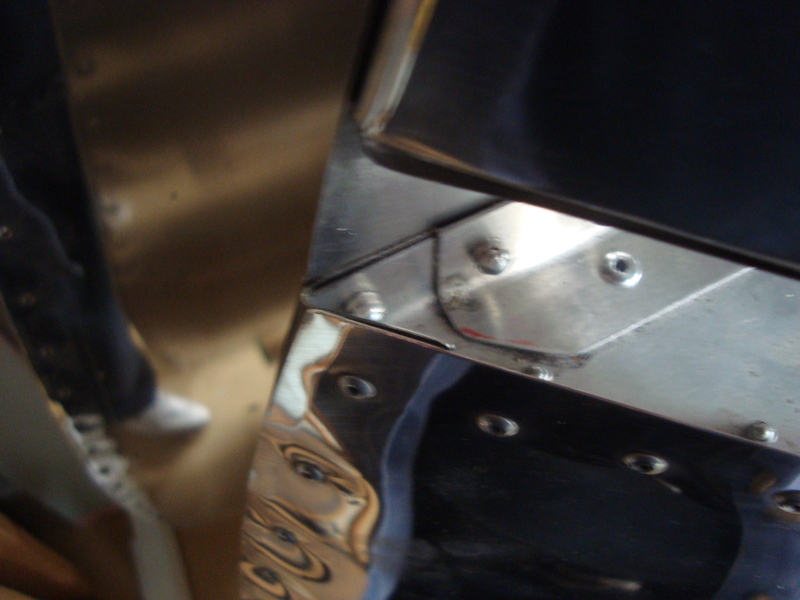 Flash tended to wash-out the photo due to reflections from the highly polished aluminum. Also, there was no room for standing back to get proper perspective. I tried to find better photos on the web and was partially successful. 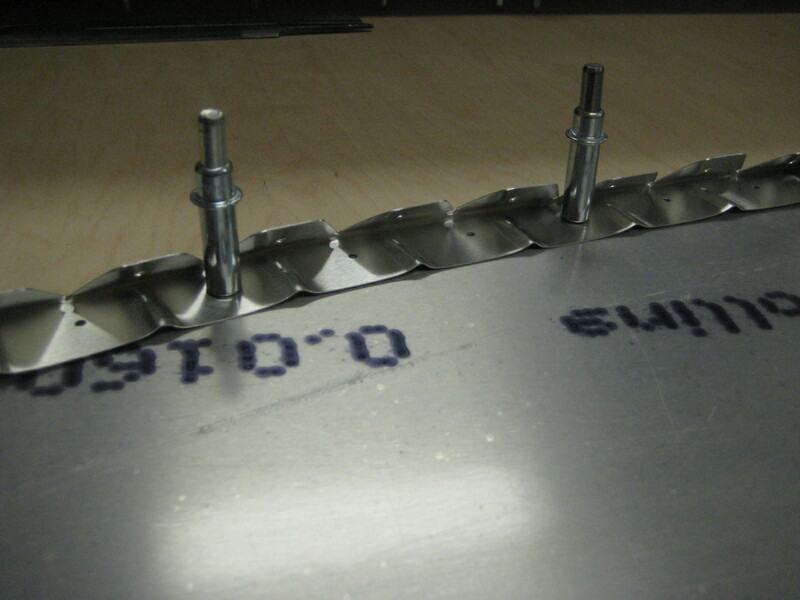 The three pieces at the tip are the upper piece, the lower piece and, key, the wingtip top angle. 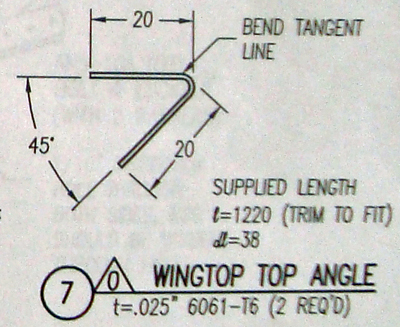 The plans indicating crimping both flanges. The angle of the bend may be different for the UltraCruiser. Wing is on a wing rack ... nose down. 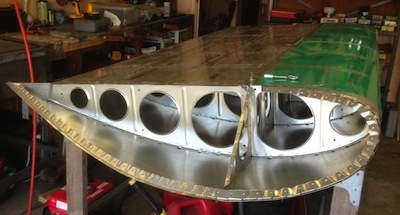 You are looking at the rear portion of the wingtip looking down. 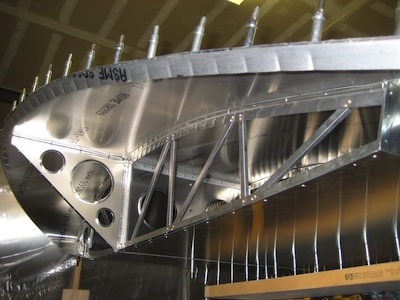 The aileron is at the top of the picture (note: no hinges, the metal bends ... unique). 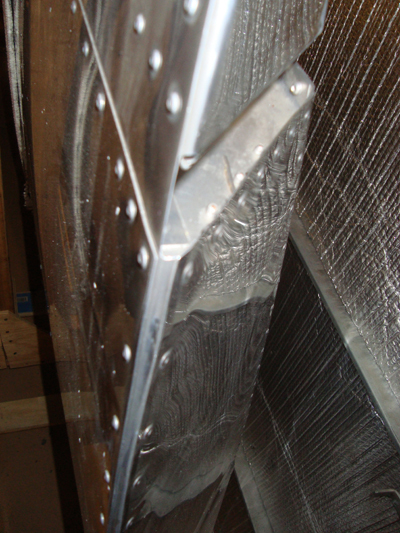 No gap seals required! More distant view of the wingtip. Looking down. Aileron at the top. These four images above are from Albert Delahlussaye (delhoose). They demonstrate the easy alternative to the UltraCruiser wing tip. Excellent work by Delhoose. The next images are from Alan Zeisbrich. 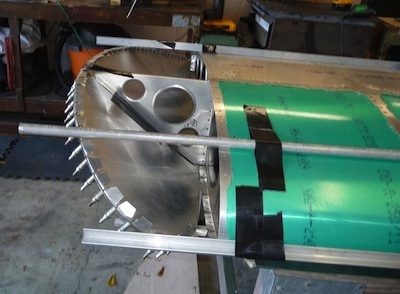 To the left is the underview of the left wing tip showing the flange. 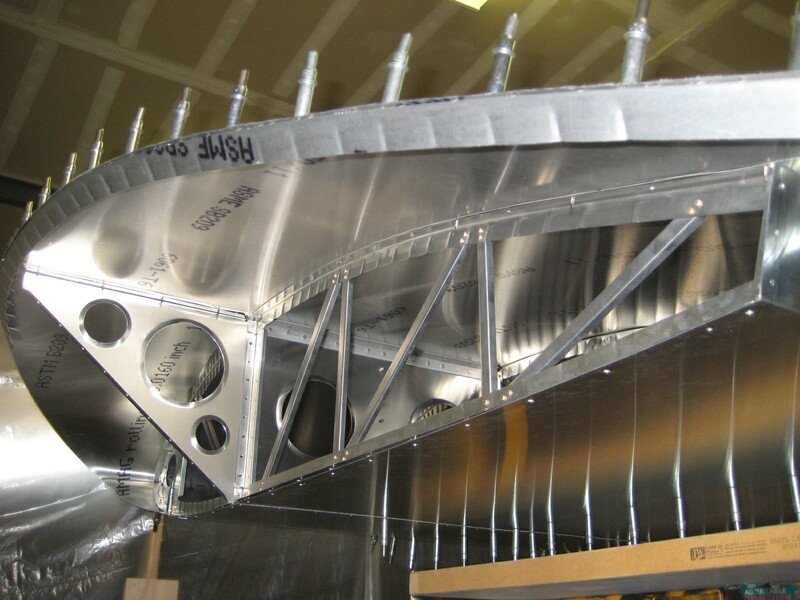 Note built-up ribs. 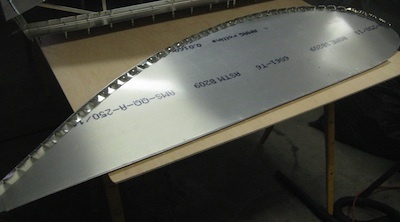 Below image is the bottom skin for the wing tip with the flange mounted on the lower surface. 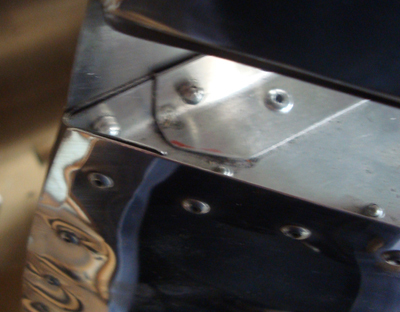 Immediately below is a close-up of the flange. 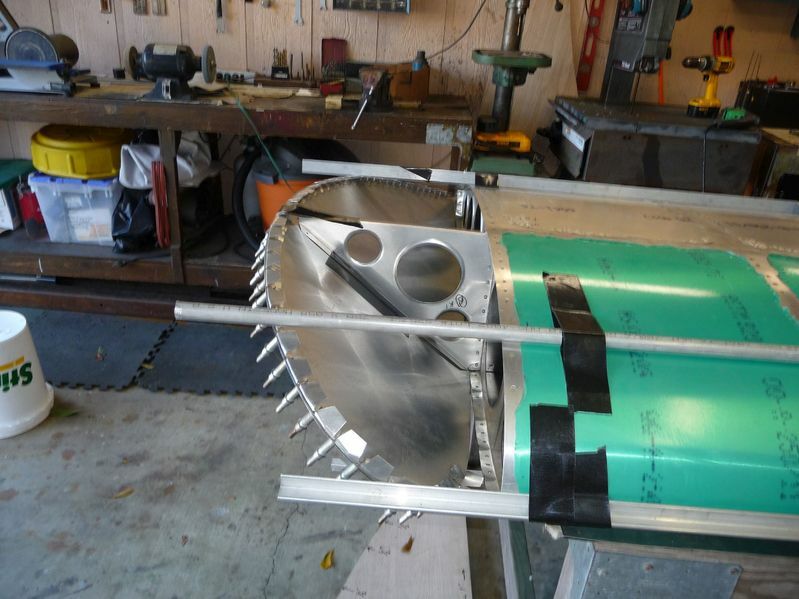 After all that work was completed (pictures attached) I saw a more elegant solution at a local air show...wish I would have seen it before I went through the effort. They used solid rivets and simply brought the two pieces of aluminum together with only a slight bend required on the end piece rather than a very acute bend as required on the drawings. Next time I'll do it this way. Copyright © 2008, by S. Steve Adkins, all rights reserved.